GARYTALK.COM (11/12/2015) – We sure do appreciate the continued patience you and other visitors to Garytalk.com are displaying during our rebuild. 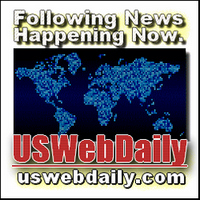 A few words about the founder of this website: Gary W. Morgan is a semi-retired over-the-air radio broadcaster and newspaper person, who was involved in both news, entertainment and advertising from 1967-2000. This website is designed to share some of the work he has done in the past and some of the current projects he has been working on during the decade and a half since retiring from the broadcast radio and printed newspaper part of his working life. GARYTALK.COM (11/11/2015) – You are welcome to visit Garytalk.com anytime. 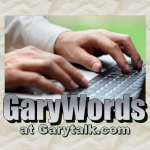 This website features Written and Spoken Words of Gary W. Morgan and recorded Conversations with Friends and Newsmakers. Gary W. Morgan is a semi-retired communications industry, radio personality, newspaper reporter, news anchor, music director, commercial continuity director, program director, radio station manager, newspaper reporter, photographer and editor, and, most recently, involved in producing website graphics, logos and advertising, and creating, designing and maintaining internet websites, as well as programming and presenting music for an internet radio station.